Gloria velvet pants are made to make you feel comfortable and fabulous at the same time. 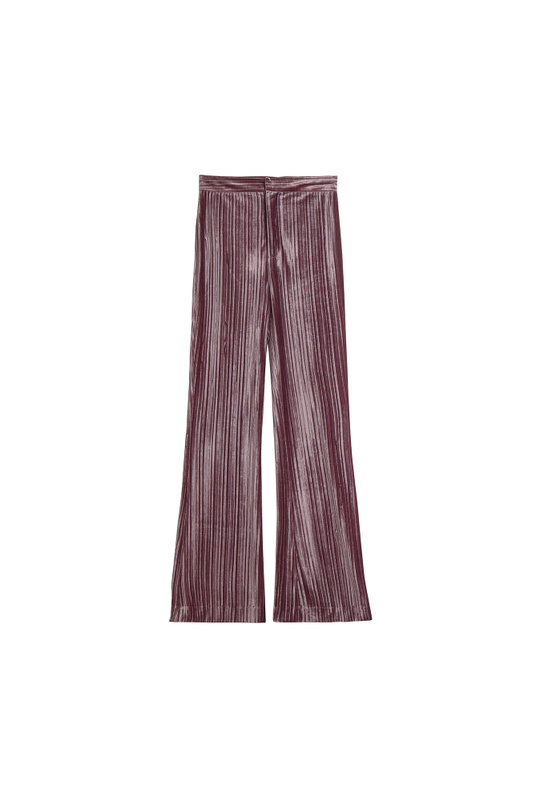 Cut from plush velvet, these pants have a regular fitted leg with a widening at the bottom. The pleated look of the velvet makes these pants special. Wear it with Erin blazer for the complete look.